The U841A delivers exceptionally intelligible audio reproduction in a super-compact, low-profile design. 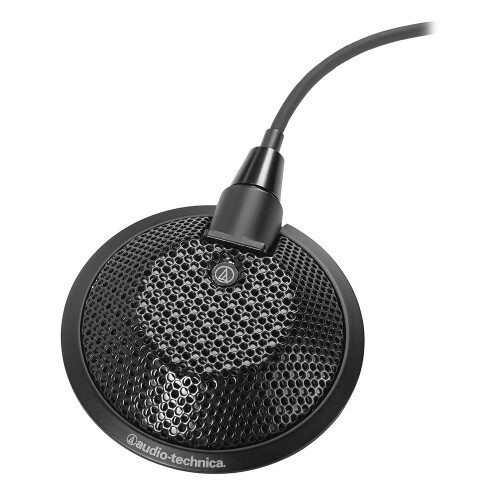 Equipped with UniGuard® RFI-shielding technology, this omnidirectional condenser boundary microphone is designed for clear, highly intelligible sound reinforcement, professional recording, television and conferencing in surface-mount applications. The U841A has a 360° pickup angle and operates on battery or phantom power. Phantom: 132 dB, 1 kHz at 1% T.H.D. – Battery: 122 dB, 1 kHz at 1% T.H.D.